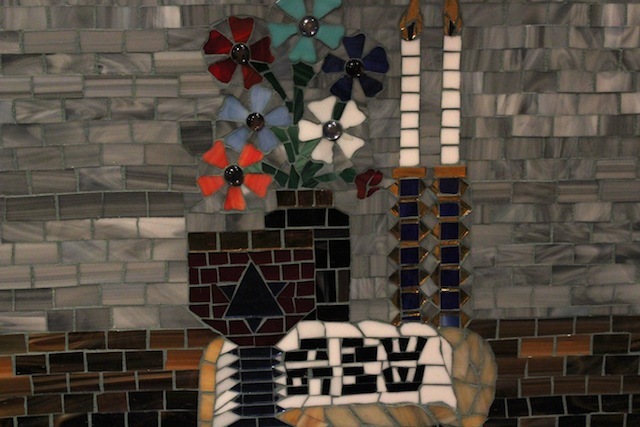 Piece by Piece, an arts program of the Skid Row Housing Trust in downtown Los Angeles, put a stunning collection of mosaics up for sale this weekend. To see a sample of the work, click here. For more about Piece by Piece, or to support Angelenos helping themselves out of homelessness through making and selling art, click here. It was a fabulous show for a great cause and supporters went home with beautiful art! Thank you for coming and taking the great photos, Emily!